From sailmaking in the 1970’s through to his current life based in Europe and working as an adviser to the Volvo Ocean Race and consulting as a rules adviser, Jack Lloyd has spent the last 40 + years dedicated and committed to the sailing fraternity. 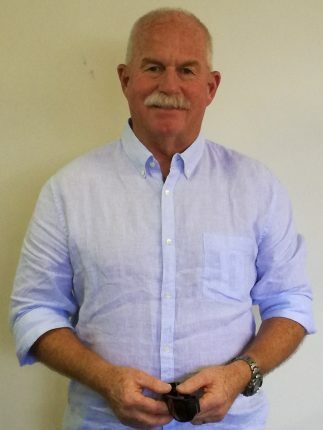 Around the same time as he began working with Peter Hill Chartered Accountants in the early 1990’s, Jack became involved with New Zealand Youth Sailing teams as manager and coach. This involved a huge number of hours spent in a chase boat, or in a meeting room, motivating and building morale, as well as being a clever strategist and clear communicator. You can’t perform these types of roles without passion for success; both for yourself and others. By the mid 1990’s Jack had joined the elite ranks of sailing judges and umpires, adjudicating at top international regattas. This culminated in him being chosen as a judge and umpire at multiple Olympic Games; Sydney in 2000, Athens in 2004 and Beijing in 2008. Jack has since turned his hand to sailing administration to compliment his umpiring and judging skills. His CV is the envy of many in the sailing world. He was a member of the support team and rules coach for the NZ Sailing High Performance Team and performed the same roles for the Olympic Sailing Team in London in 2012 and Rio in 2016. He was an umpire and judge for the America’s Cup in San Diego in 1995 and in Auckland in 2000. Jack was also rules adviser and in-house umpire for the OneWorld Syndicate from 2002 – 2003 in Auckland and for Emirates Team New Zealand 2005 – 2007 in Valencia, Spain. The connection between Peter Hill and Sarah Kessell, now directors at Sumpter Baughen, and Jack has never gone off course and continues to hit the mark 25 years later. With each committed to the others success an enduring bond has been formed. It’s clear that Jack has navigated his way swiftly and diligently to become one of the top sailing adjudicators on the global stage. Not bad for a guy who started his own sailmaking and marine canvas business in Whangarei back in the 1970’s! So, where to from here for Jack? Well, he’s getting a real kick out of life – working his way between Spain and Portugal filling project management roles in the marine sector, doing some international umpiring and rules coaching as well as some sailing event management. It really is smooth sailing from here on in for one of the good guys who dedicated his life to the success of others and along the way managed to live the dream – he made his passion his work!